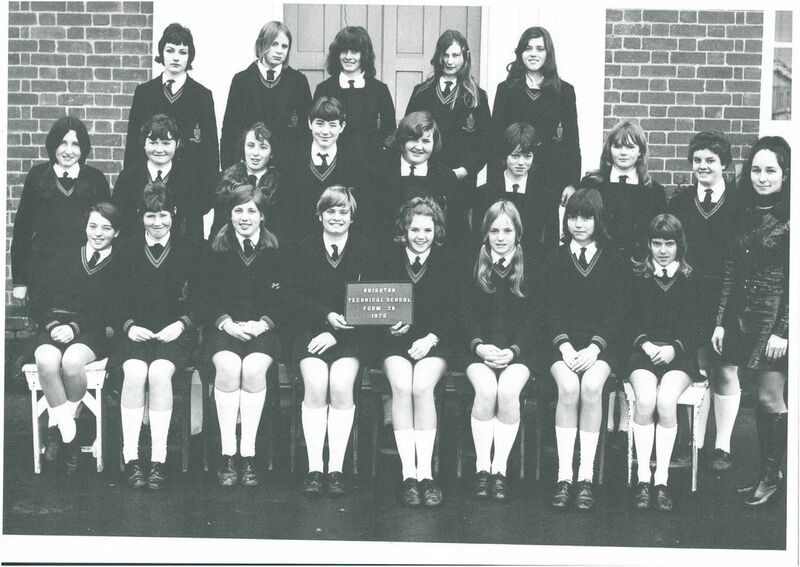 Class Photos 1970 - Brighton technical school, Victoria, Australia. Middle Row: L-R. Veronica McMahon, Marlene Hustler, Debra Callaway, Rhonda Ewart, Jan James, Cheryl Torr, Barbara Sherry, Elizabeth Johnson. Front Row: L-R. Gail Homes, Neroli McKitterick, Dianne Caddy, Pam Dunlop, Diane Bailes, Kay McConnell (McCorrell? ), Susan Sullivan, Debra Langtrip.